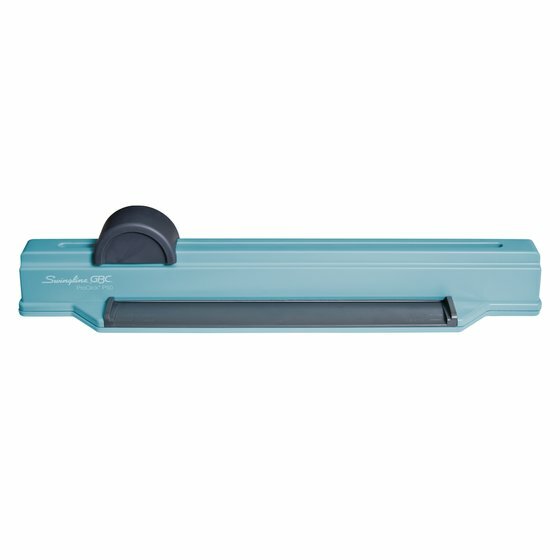 Convenient ProClick P50 Punch puts easy binding at your fingertips. It’s a great choice for busy offices – everyone can put together their perfect projects, while still retaining the flexibility to modify and edit their contents. Enjoy the unique capabilities of ProClick spines. These convenient spines are the only ones that can be easily opened and edited with or without a machine. 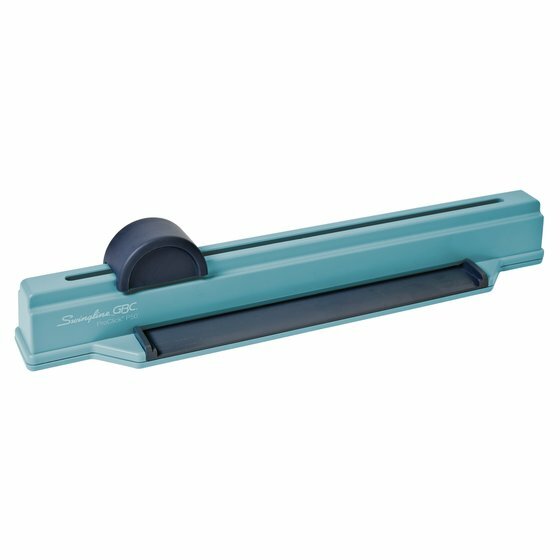 Sleek bindings offer a professional look with the added bonus of versatility. Open them using a pen, an editing tool, or even just your finger, to edit and rearrange contents, and neatly close them back up without the fuss of a machine. Small binding system occupies a small desktop footprint, is easily portable and fits into desk drawers for convenient storage. It's easy to share between multiple classrooms, and easy to transport between offices. This small machine can be a big upgrade to your home office, helping you create professional-looking presentations in a pinch. Founded in 1947, GBC has been bringing you the very best in binding supplies for over 70 years. With a commitment to high quality and innovative engineering, we work to put the best tools for binding and laminating at your fingertips. Make sure your projects pack a powerful punch with impressive binding technology.